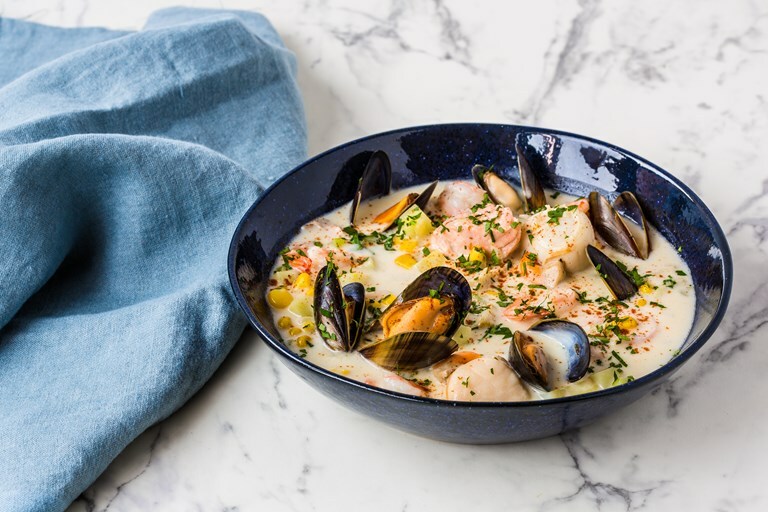 This stunning seafood chowder recipe is the perfect comfort food dish for a chilly night, a seafood soup packed to the brim with a medley of scallops, haddock, mussels and prawns. Darcy Brown is head chef at Waterfront Warehouse in Halifax, Canada. The restaurant is known for showcasing the area's stunning seafood offerings.